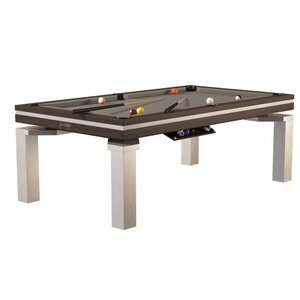 Buy a combination billiard where you can play carom billiards and pool billiards? We sell a unique system. 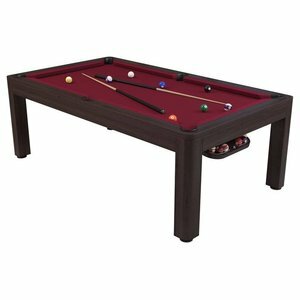 Convert the billiard in 5 minutes from a pool billiard to carom billiard or vice versa. With the special wedge-shaped band, this is fantastic and you really have a full-fledged billiard table. 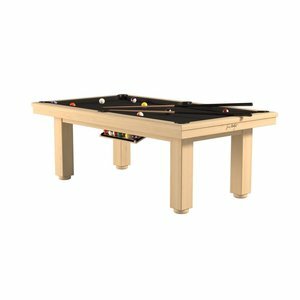 This combination billiards system is exactly what you are looking for if the children like pool billiards and you want carom billiards. You do not lose quality, because you replace the entire tire and do not have to fill the corner pieces with inserts. The design has certainly been considered. Is a billiard table not always as beautiful as appearance. In this system, the appearance is mainly considered. 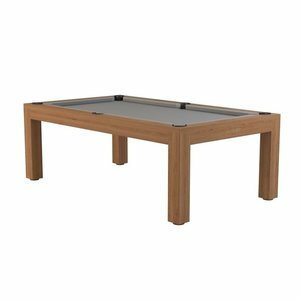 You buy a combination billiard, but possibly also a beautiful dining table. 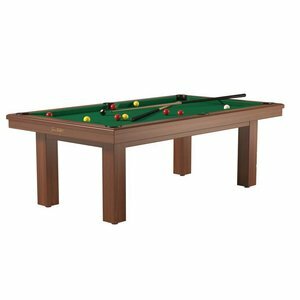 Like these billiards, solid oak or solid beech are supplied. In every color. In very many models. And various dimensions. 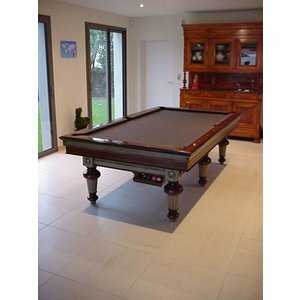 There is always a combination of billiards that fits in your space. And really where we place this combination billiards currently mainly this just in the living room. Nice and cozy a game of billiards. And afterwards good food on the same dining table. Feel free to come into our store. 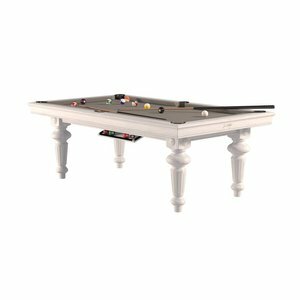 And get information, look, feel and play on this unique combination billiard table. 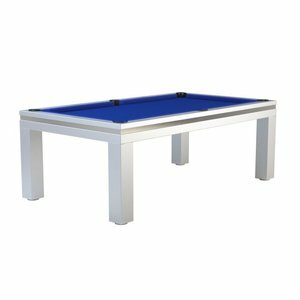 And if this is not enough of course, we can also supply matching chairs and benches for the combination billiards. And it is also possible to deliver a table tennis table here. Van den Broek Biljarts is ready for you. 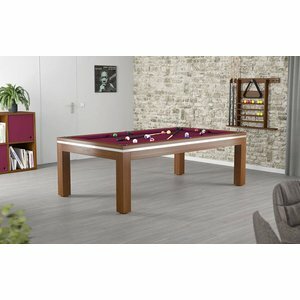 In our webshop you will find the wide range of billiards offered by the specialist in billiards in the Netherlands. 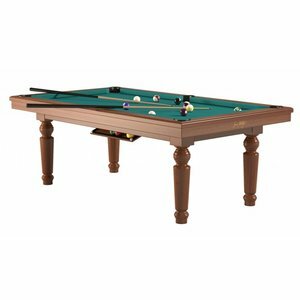 With us you can go for different types of billiard tables, billiard balls and a large number of billiard supplies. So if you want to buy a billiard table, you will find everything you need in our online store.